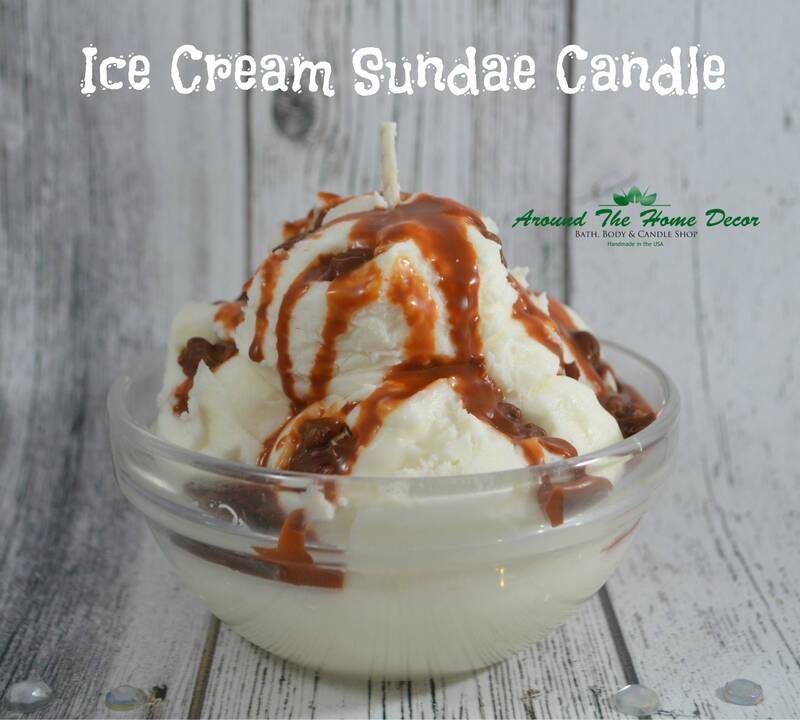 This listing is for 1 Handmade Ice Cream Sundae Candle. This candle is hand poured in a glass ice cream bowl and decorated with a delicious looking toppings made by hand with all natural vegan soy wax. It looks real and smells good enough to eat! The pictured candle is Scented with Banana Nut Bread and Buttercream fragrances. Chocolate Themed Vanilla Ice Cream Sundae. This candle is perfect for a housewarming gift, or just to have in your own kitchen! Please note that this candle features design over function (it is a novelty candle). It is fully functional, but wax may melt unevenly or spill over the edges. Please use caution if you choose to burn this candle.